Circumstances are such that the Minis wont be done - the old enemies of time and photos. 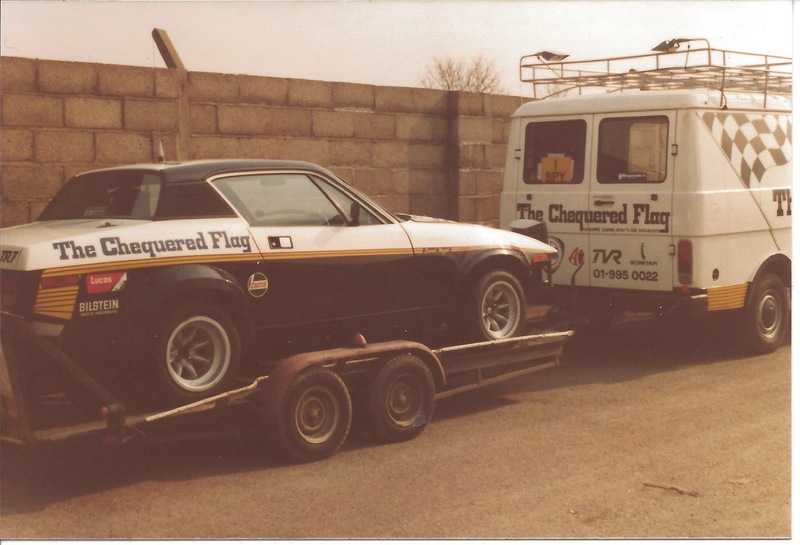 Currently looking for the Schuco Aaltonen/Easter 1973 RAC Ascona A. Body shape is wrong but wheels sumpguard and spots are correct for the Brookes version. I can only find one on ebay for 33 euro plus a silly 22 euro postal charge from Italy to Ireland. So if anyone knocks across a more reasonably priced one please let me know. I messaged the guy who tells me that 22 is the max postage charge but 15 would be the cost to Ireland. 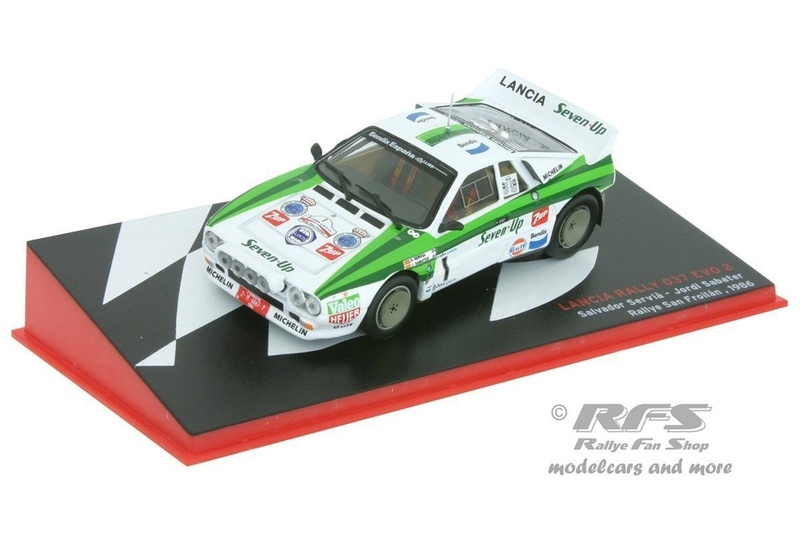 So I buy the model and he issues an invoice for 33 euro plus 22 euro postage. I message him and he tries to void the sale by saying it was sold twice. I refused to void the sale and I message him again and he says he withdrew it because of an issue with the paintwork. So now I have an unpaid purchase in my ebay and silence from Italy. Signs as Emanuele but called Liverpool-1972 on ebay. Messer or what ? So I think I am still looking for an Aaltonen RAC Ascona A. Just got this. 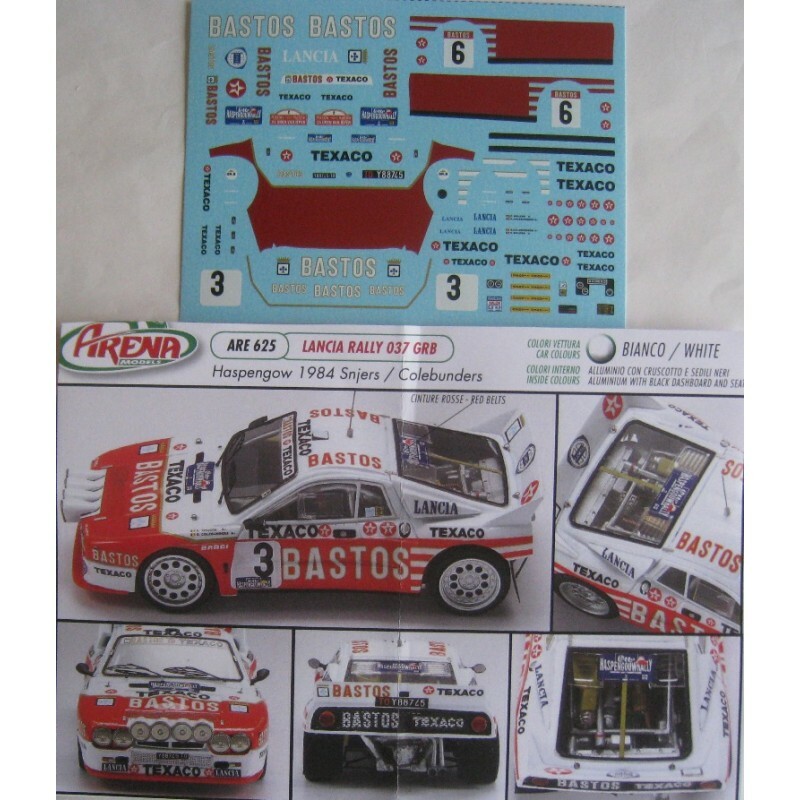 I picked up an Arena built kit at Rallylegends in 2016 at an unbelievably cheap price and Piotr has put a set of Brookes decals on it (Carlo decals). To me its a class model. Not sure if others have the same issue as me. The photo is double size i.e. only half the photo is displaying. When I click on the photo it reduces to correct size. I redid the inserting of the photos on three occasions. So don't know whats wrong, if anything. 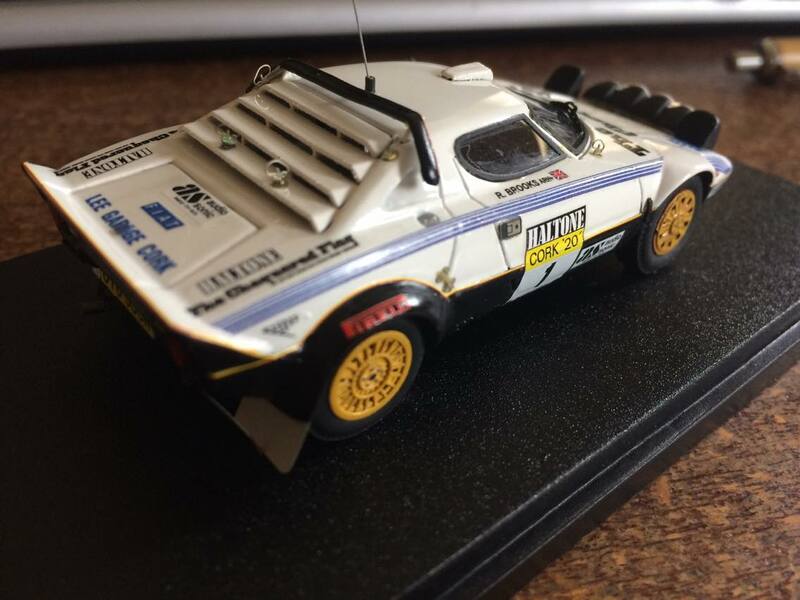 Beautiful model of an iconic car. Never even noticed the yellow line on the real thing. Service van? Sean, You should know me by now. 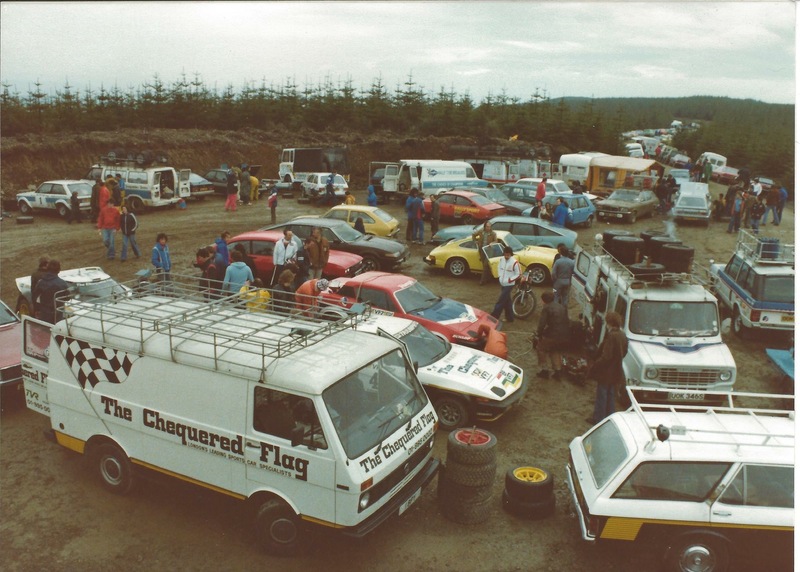 Its the Chequered Flag VW service van that I had been chasing photos of, on facebook. Photos finally materialised but they won't upload here for me just now.
. Laptop wouldn’t play ball but mobile phone did ?? [quote="JOB"]Just got this. 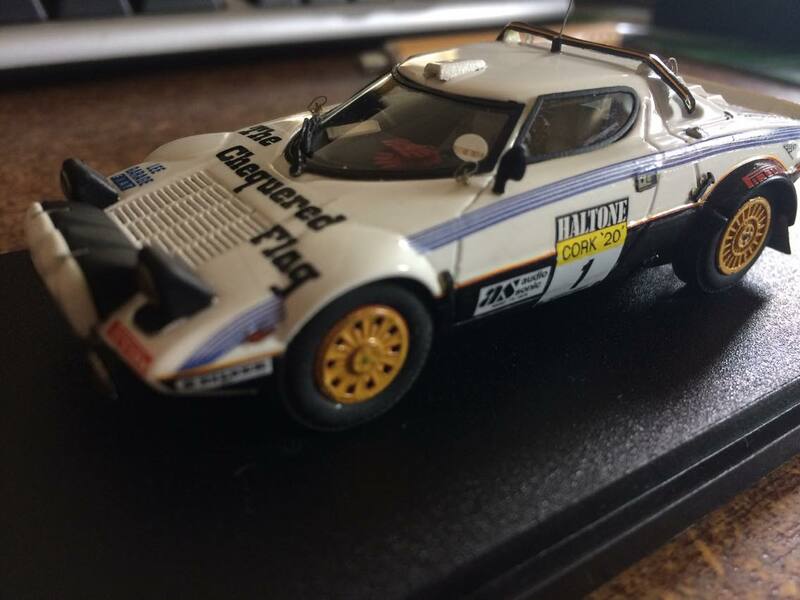 I picked up an Arena built kit at Rallylegends in 2016 at an unbelievably cheap price and Piotr has put a set of Brookes decals on it (Carlo decals). To me its a class model. 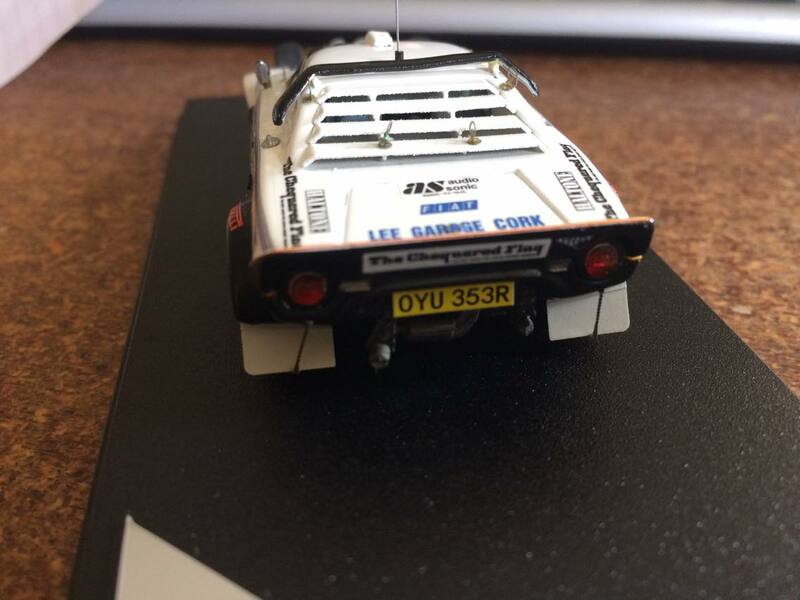 Brooks got a rear puncture at OConnells Pub Bennyskehy (between Glenville & Raheen) we gave him a hand to change it and i got the wheel to return it to him at Rally HQ.....and did so................would make a nice display now with the model sitting on it if i still had it !!!!!!!!!!! James, did you get the Ascona?? The Thread heading has now become a little misleading as Patrick Snijers has been added to attendance list and I don't have a single Snijers model afaik. 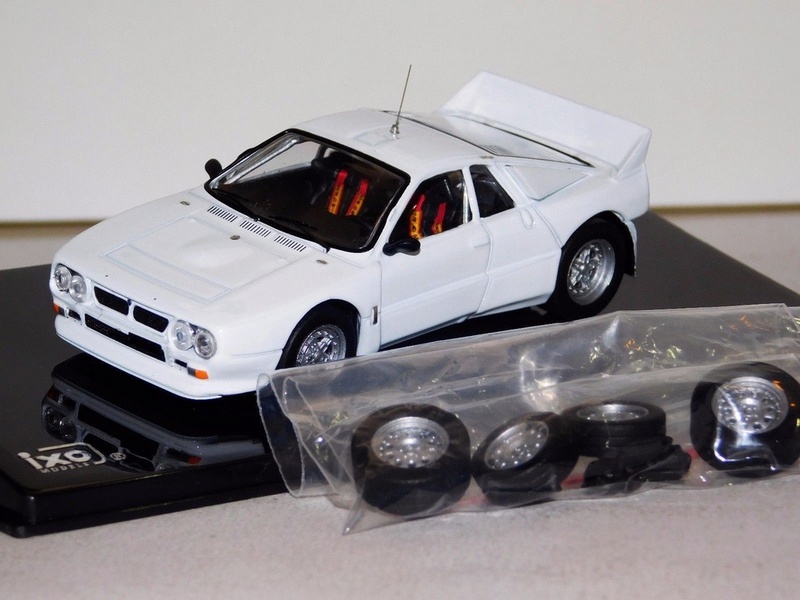 If we have an Lancia 037 experts on here can they tell me the difference between a Lancia 037, Evo and Evo 2 versions. I can get a set of Arena decals but are either of the bases I am looking at suitable ? Both models being Ixo built, they should be identical in shape. I think the only 1/43 037 WITH bumper is the Solido model, which is old and not very detailed. All other models are Evo 2. Juha wrote: I think the only 1/43 037 WITH bumper is the Solido model, which is old and not very detailed. All other models are Evo 2. Thanks Dave. I stopped collecting 037's before they hit the shelves. Back to Brookes. 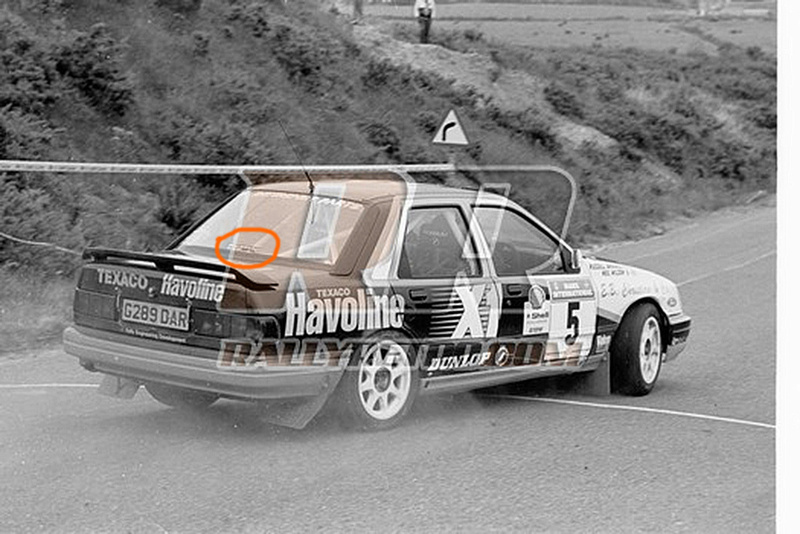 Carlo currently doing decals and we are stuck for a close up of the decal as highlighted in the picture below. 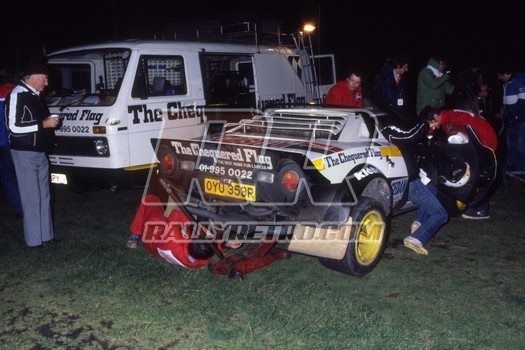 Fergus(Rallyretro) has no better shot so we are snookered there.